A truly spectacular house in Offaly that looks like it was plucked straight from a fairytale has hit the market with an asking price of €395,000. Described as 'a unique sylvan and medieval charm and styling', it has cut stone external walls, a thatched roof and feature round tower, exquisite landscaped gardens and a water fountain feature for good measure. The house is situated at the Idle Corner between The Blue Ball and Kilcormac and is located on a superb private site of circa 0.9 acres with boundary walls, fencing and hedging, gravel driveways, and electronic gates on entry. There are two large garage/work sheds (one of cut-stone and slate roof and the other of steel frame and mixed cladding). 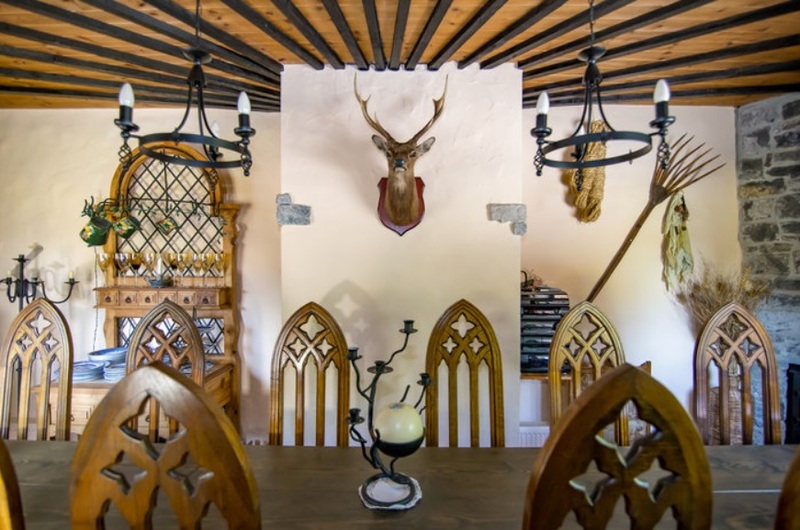 Internally the property is a fairytale, medieval and modern mix of styling character and atmosphere. 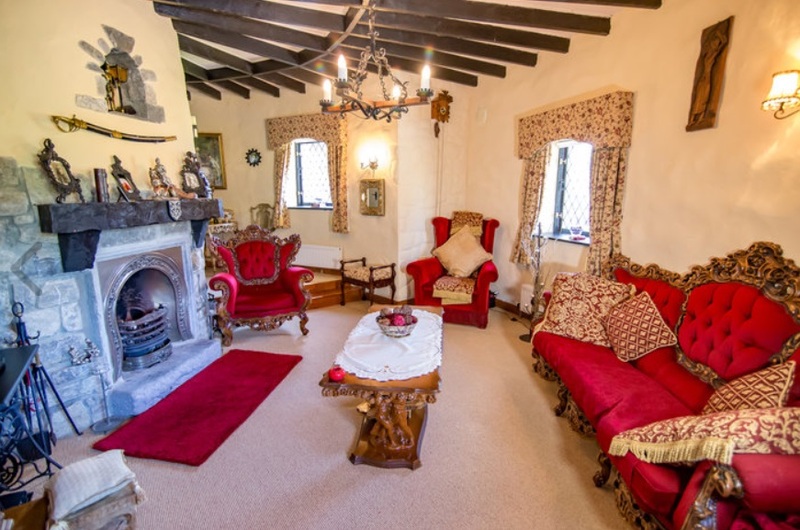 Cut stone walls, decorative feature plasterwork, timber beams and medieval style doors abound.